This chapter aims to analyze the extent to which medical practitioners incorporate the use of digital technologies into their practices. In this process, it is recognized that significant developments of technologies not only transform ways in which people interact and access to information to make decisions related to individual and social functioning but also influence and demand changes in professional practices. Nowadays, it is common that patients consult online information during their medical treatments. How do medical doctors develop an expertise in the use of digital technologies to fully incorporate them into their regular practices? The authors discuss the process in which medical practitioners get involved to transform an artifact (webpage, catheter, stent, etc.) into an instrument to treat a particular patient's health problem. To this end, they focus on the development of the practitioners' cognitive schemata to analyze and describe the main phases associated with the practitioner appropriation of the tool. Nowadays it is recognized that the developments and use of digital technologies are changing the way in which people communicate, get access to a variety of information, solve problems, and discuss solutions. These technologies open up novel avenues for people to share practical and specialized knowledge from a variety of domains, and interest or goals. Tools can be physical or virtual artifacts and they influence human cognition and act as mediators between the phenomenological and conceptual world (Santos-Trigo, et al. 2016). In health areas, experts or professionals such as physicians, nurses or physiotherapists rely on social media (YouTube channels, blogs, wikis, or specialized webs) to share knowledge and practical experiences. Similarly, patients look for information on diseases and health advice and they often interact, via Internet, with experts to monitor their health and to interpret lab results. An important feature of the Web or an online platform is that it allows the participation of experts and users with a variety of experience or knowledge to build a source of accumulated knowledge in constant scrutiny. Denecke (2015) identifies three main groups as users of medical social media with different aims and purposes: patients, healthcare professionals and researchers. Thus, through the medical web, patients interact with health professionals and other patients to get information on diseases, treatments, prevention or ways for operating tools for diseases. Healthcare professionals interact with other colleagues and patients to discuss latest results or to identify and share experiences and best practices. Researchers interact with other researchers to discuss treatment results and information on treatment outcomes and information of disease development and progression. How is a medical web system constructed? What criteria are used to select the information to be included in the online system? ¿How do patients process and use the information they consult? Available medical data in online platforms might vary and increase in volume and themes, then data visualization becomes important for physicians and patients to overview and interpret changes in health status. Likewise, physical tools designed by engineers and other professionals (magnetic resonance imaging, catheters, etc.) are also transforming medical practices such as surgeries and disease detection and treatments. Thus, it is important to analyze the extent to which users of both physical and virtual artifacts get engaged in activities to transform those artifacts into an instrument to solve problems. To this end, we focus on the importance for users to develop cognitive schemata that shape their appropriation of the tool affordances in problem solving environments (Santos-Trigo, et al, 2015). 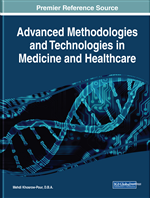 The design and use of technological artifacts in medical practices involve the participation of several experts’ communities including engineers, scientists, and medical doctors. Thus, to delve into what happens to artifacts (designed by engineers) when they enter into medical practices implies not only to uncover what engineering and medical practices entail, but also to address how both agendas could converge or incorporate common goals. Regarding the engineering as a discipline, the National Research Council (NRC) (2009) pointed out its problem solving approach to design and create human-made products under certain conditions or constraints. Some of those constraints involve taking into account principles that encompass science and scientific laws, budget restrictions, available materials, sustainability, ergonomics, and ethical issues. Progress in science and engineering goes hand in hand, science advances often depend on tools developed by engineers and reciprocally scientific knowledge guides and permeates engineering designs. Nowadays, it is not unusual to find engineers working with medical doctors and researchers in the design of artifacts that aim to improve human health.